KARACHI: The Chief Justice of Pakistan (CJP) on Saturday passed an order for the demolition of walls with advertisements throughout the metropolis and banned the construction of walls for advertisement purposes. He was hearing a case against the rise of ‘advertisement walls’ all around the city at the Karachi Registry. The petitioner stated that such walls are popping up all over the city and especially the cantonment boards. “Building a wall in front of the FTC has tarnished the city’s beauty,” the plea mentioned. The CJP questioned the Karachi Cantonment Board (KCB) chief executive officer (CEO) about the walls and was informed by him that a few of these walls have been erected for defense purposes, while notices to advertisement companies have been issued already. The CJP remarked that notices were not effective and ordered that action be taken by demolishing the walls along all roads including Shahra-e-Faisal. He has sought a report on the matter within 10 days. Earlier, he had expressed satisfaction over the current cleanliness condition in the metropolitan. 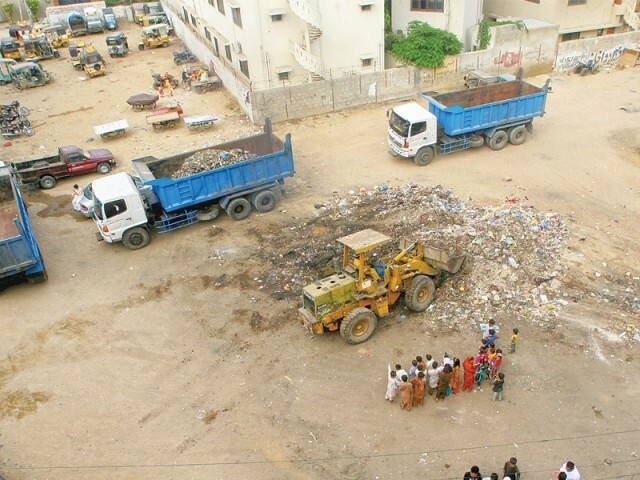 During the hearing, CJP appreciated the provincial government, adding that he felt really happy after seeing garbage-less Karachi. Advocate Shahab Usto told the court that 915 schemes have been completed and that projects related to the sewerage system have also been implemented. The metropolis is faced with a shortage of 250 million gallons of water daily, he further said. Meanwhile, CJP asked Karachi Mayor Waseem Akhtar about the blocked drainage paths over which, the mayor assured him that the system has been improved. The mayor further added that the drainage paths will be cleaned doon as well.